I have had a long love affair with the vampire. It might date all the way back to watching The Lost Boys (I had a thing for Corey Haim at the time). Of course the difference back then was it seemed common consensus that vampires were the bad guys. One of the heroes in that movie was in a state of transition between mortal and immortal, and could still be saved from his vampire fate. Otherwise it seemed that once someone became a vampire, all that was good about them was gone. But as our obsession with the vampire continued, an evolution took place. There were still the traditional vampires who embraced their dark side and all that entailed, but then we started having "good" vampires popping up; those who were conflicted about their nature and therefore destined to live an eternity in a kind of psychological torture. We eat these characters up, don't we? They were bad boys who could change, and are willing to rail against their darker side for some stronger cause (usually love of a mortal woman). It is very romantic in a dangerous kind of way, and I have been no less susceptible to this trend. 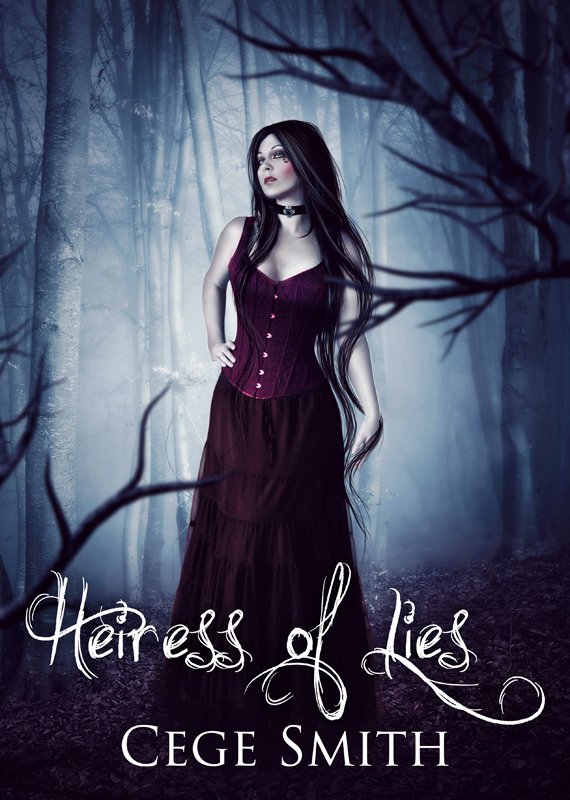 Although the plot of Heiress of Lies is primary focused on the crown princess, Angeline Robart, I also offered readers an opportunity to see some of the story unfold from vampire Connor's perspective. Connor is the one who kidnaps Angeline as she is rushing home to be at her father's sickbed. Connor is the one who introduces Angeline to the darker side of her family's history. Although she is scheming for a way to escape, Angeline is drawn to Connor because of the way that he treats her. He is intelligent, thoughtful, and respectful of her. All of the stories Angeline heard as a child don't align with the man that she meets in person. This is one of several conflicts that she had to try to resolve in her mind. On page 99, the reader has just experienced a rather traumatic turn of events with Angeline and Connor, and then we are given the chance to find out how who Connor was before he became a vampire and he met his untimely fate. I think by sharing this background, the reader gains much deeper insight into Connor's motivations for kidnapping Angeline in the first place, and why he has evolved into the man and vampire that he is today. The way that his human life came to its horrible conclusion is heartbreaking, and then he is forced to carry the burden of that guilt forever. We essentially discover that Connor is a man atoning for his sins. That is why I think readers can feel comfortable then watching the inevitable development of romantic feelings between Angeline and Connor. We see that by fixing his wrong with Angeline, perhaps Connor can find it inside to forgive himself. In the end, Heiress of Lies encompasses themes that are much larger than introducing a new vampire mythology (although it does that too). Connor definitely doesn't start out as a good guy, but we see that in time, and with the right motivation, he can become one.